Ever had a garage sale? Then as you know, sticking a sign only in your front lawn only gets customers that drive by your house. Now stick those signs in other busy streets, advertise on Craig’s List. post to your neighborhood association and send emails/Facebook posts. See what that does for your garage sale. The same goes for your business. Well, kind of. More than word of mouth or past customer reviews you need online marketing services that generate traffic to your website, to your business location, to the phones. But you need a partner that understands how to do this. You can help your reviews on Yelp or Angies list. you can rank your company on search engines. You can do it all but not by yourself. The team at Dominate Local is there to be your marketing department and do your online marketing. We will help you locate your best target customer, develop the marketing material and promotional material you need to speak their language, and then develop the sales tools you need to close the deal. Today’s techniques will simply astound you regarding what we know about your market and how to reach them. 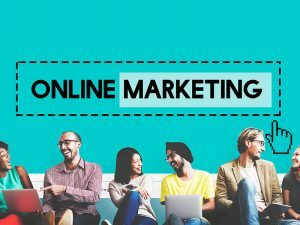 Online marketing involves countless hours of writing quality business content that is 100 percent original, producing ad campaigns, targeting your audience with the offers and language they want to read. Once we get them engaged and motivated to take action, they are yours to close. The essence of your business is your customers and prospective customers. You need to get online and then build an online marketing strategy around them. The first step of this is to fully understand what your customers need and how they get their information. This can definitely be a challenge if your targets are vast diverse groups of people. We then help build personal connections at scale and craft value propositions for each customer that funnel back to a measurable ROI for your company. Market your business online and rely upon our proven expertise and resources at Dominate Local. Contact us today to get your business online.